CMG supports leading OEMs with customer-designed, value-added plastic tubing assemblies that control the flow of fluids throughout an application, whether carrying samples, reagents, or waste. 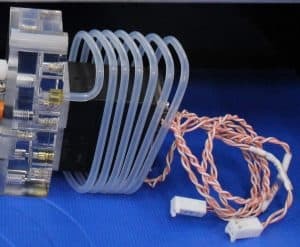 These tubing assemblies often pair with our diffusion bonded manifolds to give design engineers confidence and total control over fluid movement from input to waste output, all in a chemically inert environment. 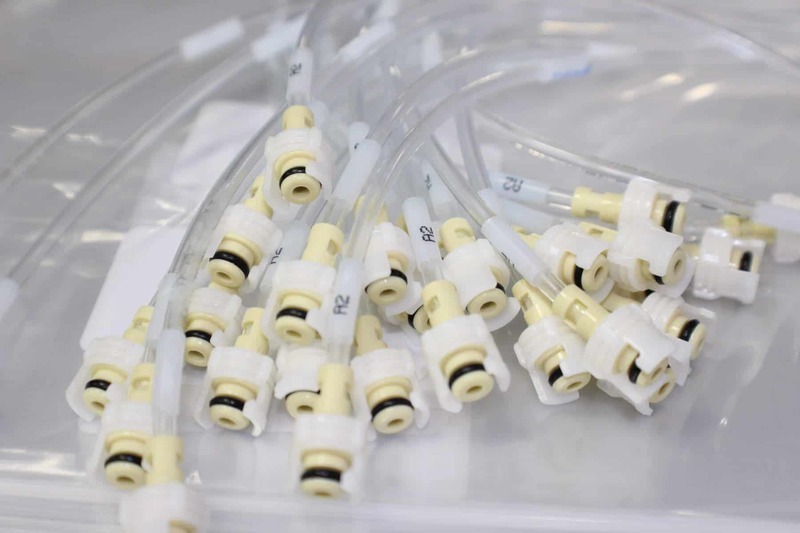 Our value-added tubing assemblies are an easy fluid handling solution for OEMs developing medical, diagnostic, laboratory, clinical chemistry, life-sciences, and many other applications. Piedmont CMG’s assembly facility offers a wide range of value-added tubing services: Heat shrink labeling, thermoformed bends and coils, flanges, flares, tipping, cut-to-length, kitting, laser etching, ink-jet printing, UV adhesive curing, sterilization, and much more. Why Use Thermoformed & Flanged Tubing Assemblies? The advantages of flanged tubing assemblies from CMG are numerous. Our custom FormFit flanges ensure a secure fit in any port, with no dead volume areas or carryover. The precise tolerances and uniform wall thickness on our proprietary FormFit thermo-molded flanges are repeatable and consistent, giving CMG unrivaled accuracy and flexibility of design. 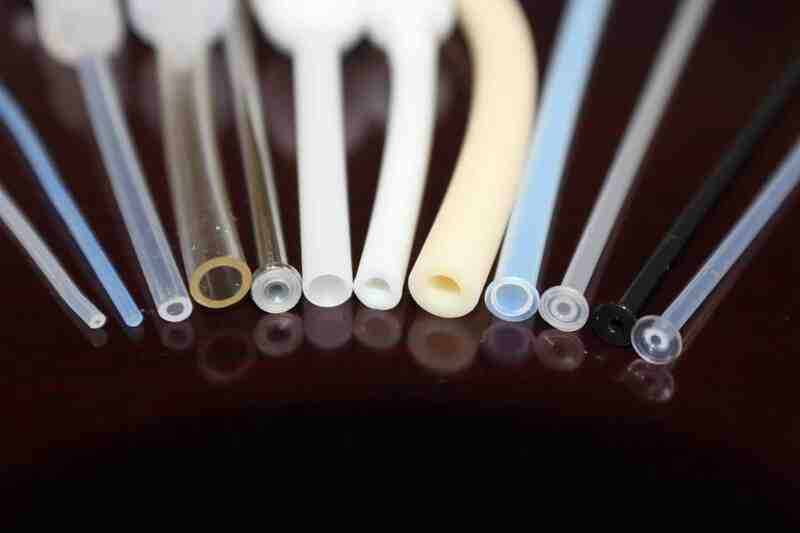 Thermoformed tubing is another capability that gives increased flexibility of design and performance capabilities. CMG can form tight bends or coils to reduce space requirements. 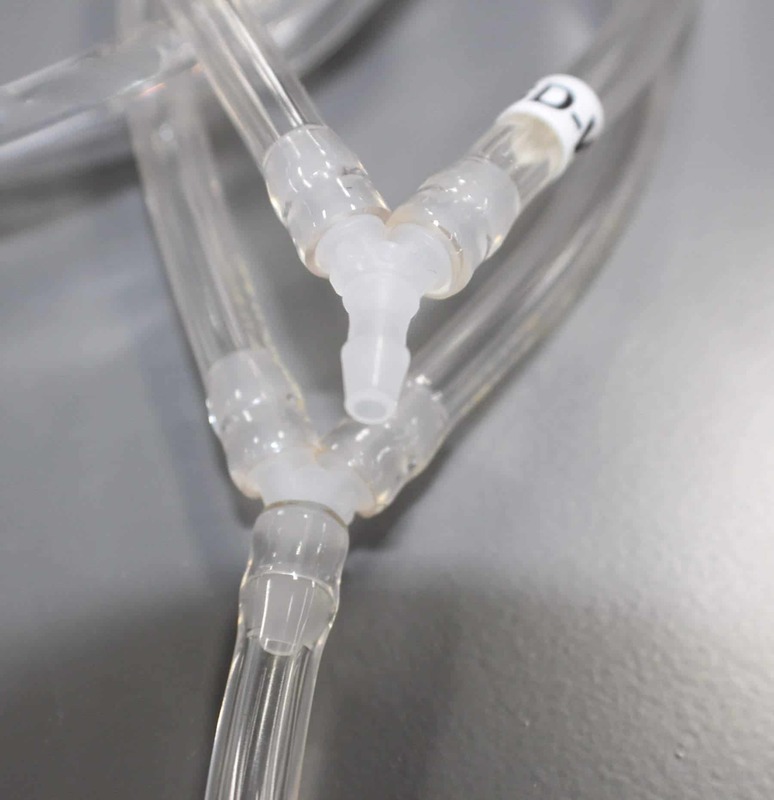 Tight spaces in analytical instruments can make it difficult to maintain consistent fluid paths with regular tubing. 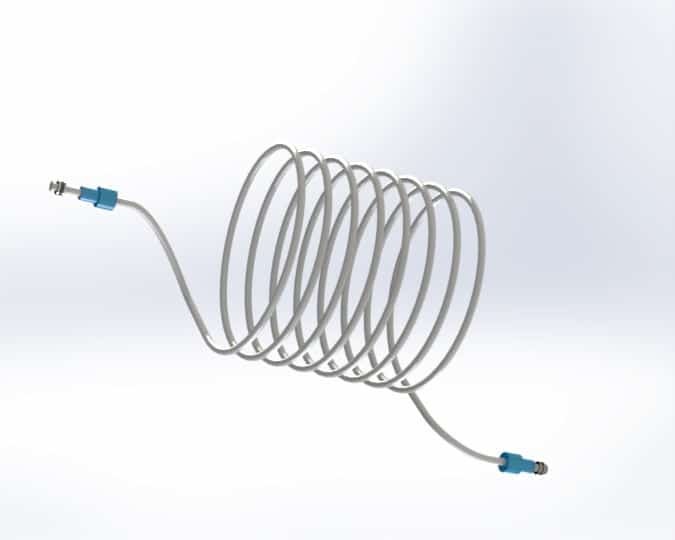 Heat formed tubing assemblies can be custom-designed with precision bends and coils that fit neatly into instruments and prevent kinks. Thermoformed coils take up the slack of moveable arms to prevent entanglement. 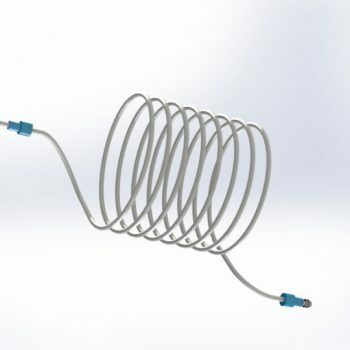 Coils and other heat formed tubing are also regularly used in fluidic processing for mixing and other laboratory requirements. We develop our own tooling to manufacture customer specified coils, bends, or a combination of both. These features, along with the components detailed below, ensure ease of installation and service for your application. Hardware and fittings allow various types of secure connections to other tubing, threaded ports, control valves, and many other components. We can integrate a variety of standard and custom components to fit your ideal design. 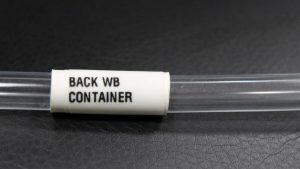 CMG is capable of labeling your tubing assemblies by printing directly on the tube with laser etch and ink-jet printing, or with the use of custom heat shrink labels and UV glued labels. Engineers often like to include a part number or connection instructions directly on the tube to aid in service and installation. Another common use of laser etch, ink-jet, UV glue, and heat shrink labels is to display the type of fluid flowing through any given section of a diagnostic, medical, clinical chemistry, pharmaceutical, biotechnology, laboratory research, or other life science application. For design engineers and procurement managers looking to simplify, save time and cut costs, tubing kits are an excellent option. 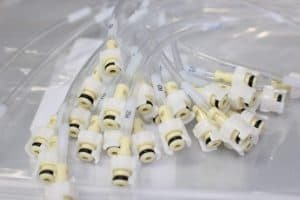 We manufacture, assemble, label, and test all the tubing assemblies required for your application, then ship them in pre-arranged bags or “kits” so that all you have to do is open the bag and install. 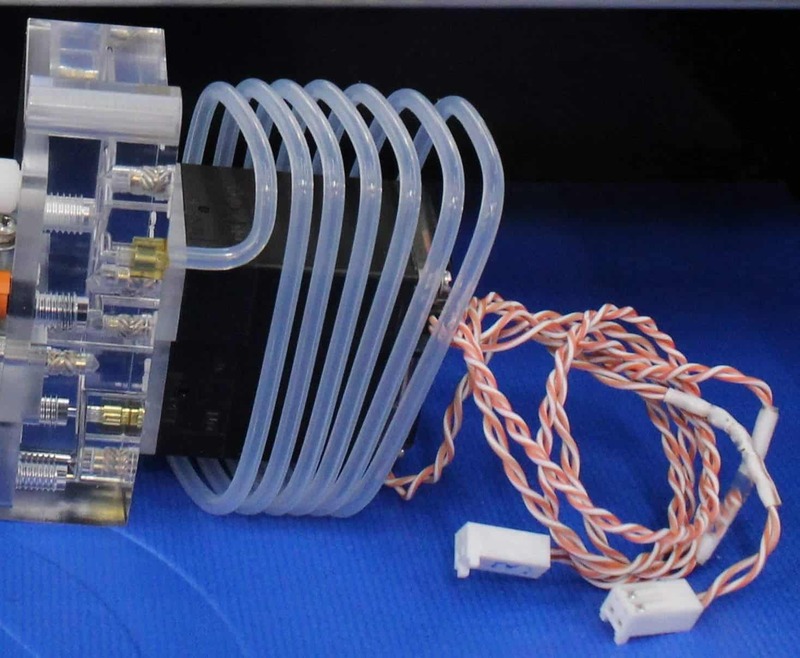 It’s a truly “plug and play” fluidic solution. Each tubing kit contains all the needed components for one device, unless otherwise specified by the customer. These kits can be ordered with a single part number though they have many components, which greatly simplifies service and replacement efforts as all the fluid management pieces are found in one bag. 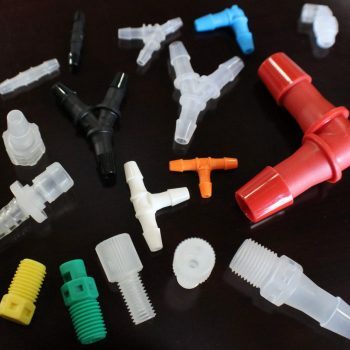 We provide tubing, hardware, and fittings in a variety of colors and materials. 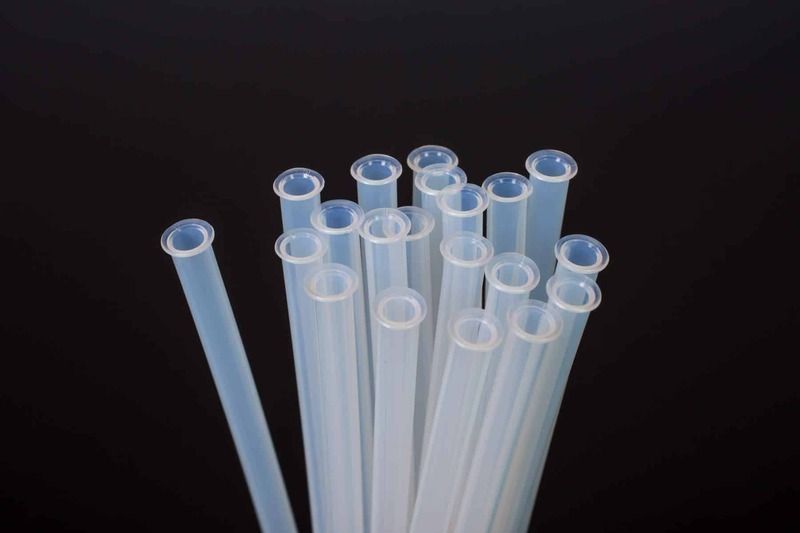 Typical tubing materials used include but are not limited to: ETFE, ECTFE, FEP, LDPE, PEEK, PFA, PTFE, PVC, PVDF, Tygon®, and Silicone. Color options give our connection fittings the added flexibility of easy identification. 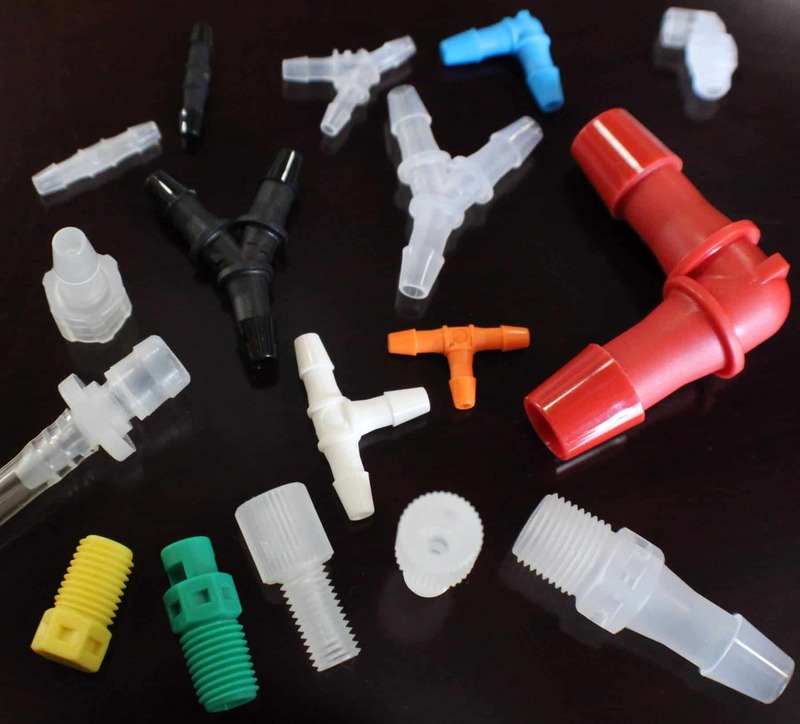 Connection fittings can also be ordered in a variety of materials, including: PEEK, PTFE, polycarbonate, polypropylene, Delrin, Stainless Steel, and many others. We can assist you in finding the best material for your device, whether it’s medical, laboratory, clinical chemistry, life sciences, or many other applications. 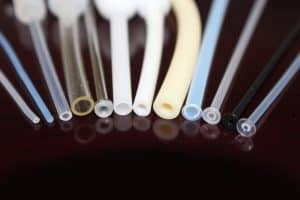 For help selecting the best material for your application, see our Tubing Materials page or contact us for more information.